- Dimensions: 18 + inch H x 13 inch W x 7 + inch D.
- D.O.T. Legal in all 50 states. 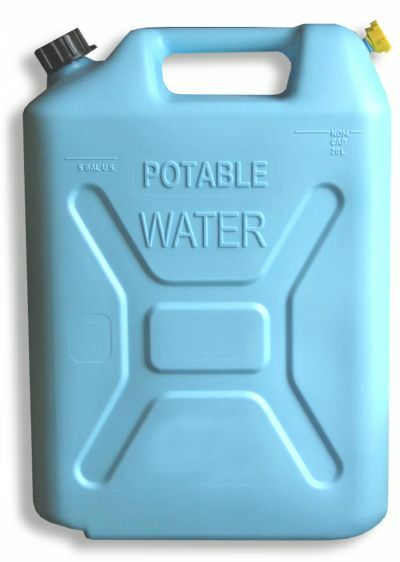 - For potable (drinking) water only. 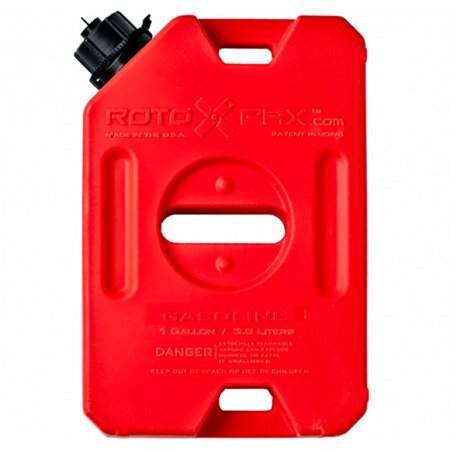 - Made from high density polyethylene, the light-weight, crushproof design features a sight-line to show you how much fuel is left. The can is rustproof, unbreakable and non-corroding. - Go Prepared! Don't run out of drinking water. - Just as important as not running out of gas on the trail. 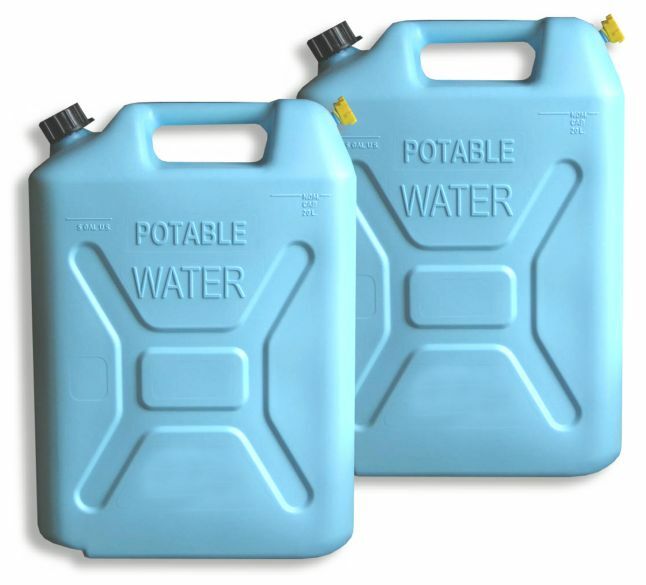 Our 5 gallon water cans are made from high density polyethylene to the highest standards. 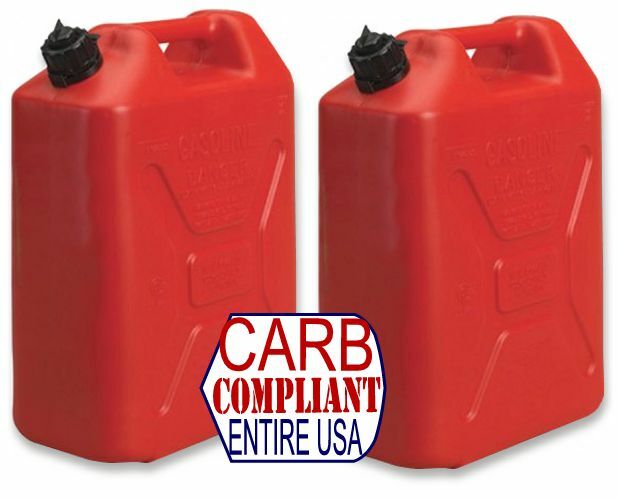 Made in North America from high density polyethylene, the light-weight, crushproof design features a sight-line to show you how much fuel is left. The can is rustproof, unbreakable and non-corroding. - Dimensions: 18 + inch H x 13 inch W x 7 + inch D. - C.A.R.B. model legal in all 50 states. - Automatic shut-off spout stops overflows. Seals to guard against vapor emissions. - Ecologically-friendly C.A.R.B. 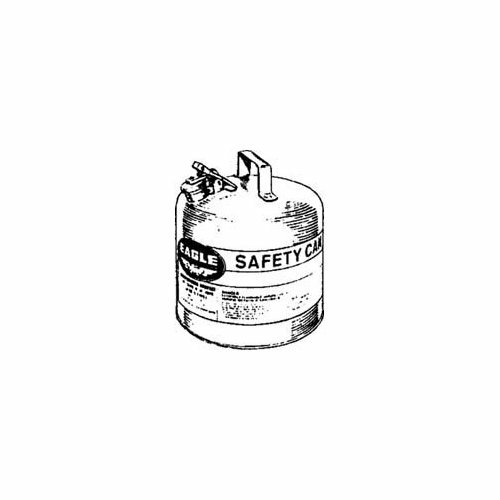 Compliant polyethylene Jeep-Style Gas Can, 100% approved by the California Air Resources Board (C.A.R.B.). Passes all emission and spill control regulations. Features an auto shut-off spout that closes when the tank reaches capacity. Simply insert the eco spout into the tank opening until the flange rests against the tank collar and fill. 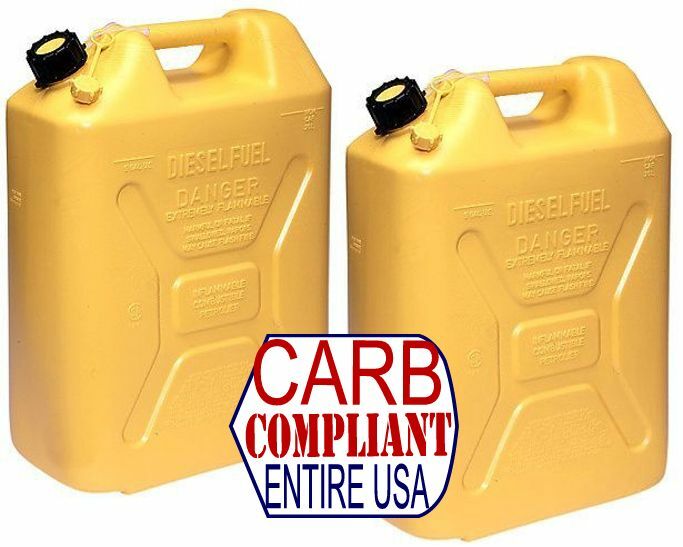 DOT, CARB and EPA approved for all 50 states. 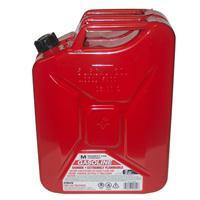 - U.S. Made Galvanized steel Jerry Can with internally-treated lining. - Automatic shut-off, Self-venting spout. 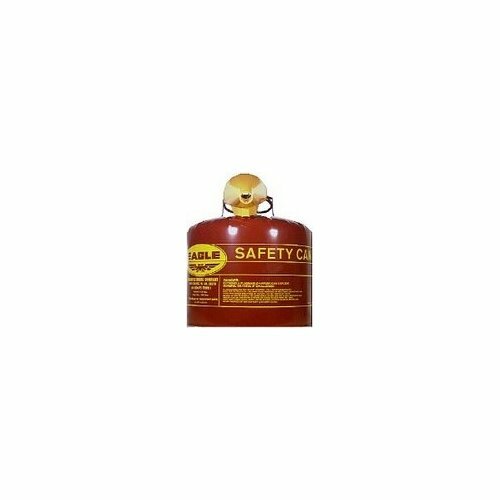 - Holder Dimensions: 14 inch L X 7 inch W X 19 inch H.
- Holder Material: HD Steel manufacture. - Finish: Gloss Black Powdercoating. 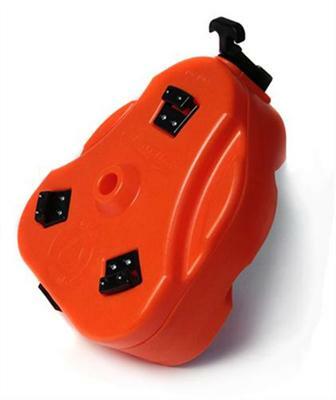 - Rubber isolators hold the classic Nato Dimensions Jerry can firmly in place. 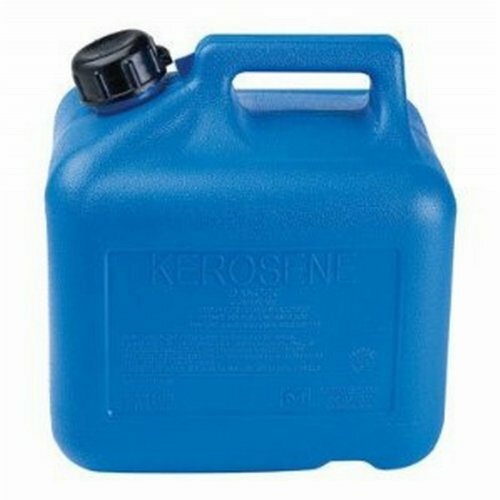 - NATO Dimensions Steel Jerry Cans. It holds the fuel can firmly in place. 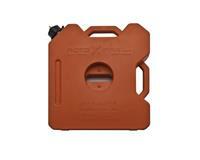 Ecologically-friendly EPA compliant steel Jerry Can, 100% approved by the California Air Resources Board (C.A.R.B.). Passes all emission and spill control regulations. 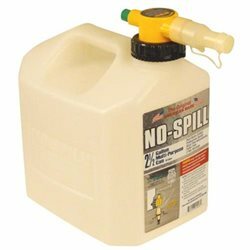 Features a spill-proof spout with automatic shut-off that is self-venting. Approved for use in all states. Made from galvanized steel with a specially treated internal lining the original Jerry Can design works perfectly with our Universal lockable Jerry Can Holder. 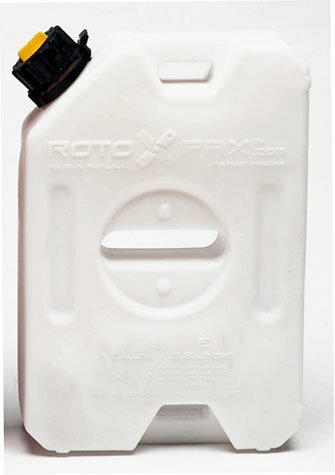 Made in North America from high density polyethylene, the light-weight, crushproof design features a sight-line to show you how much fuel is left. The can is rustproof, unbreakable and non-corroding. - C.A.R.B. model legal in all 50 states. - Ecologically-friendly C.A.R.B. 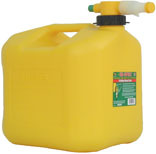 Compliant polyethylene Jeep-Style Can, 100% approved by the California Air Resources Board (C.A.R.B.). Passes all emission and spill control regulations. Features an auto shut-off spout that closes when the tank reaches capacity. Simply insert the eco spout into the tank opening until the flange rests against the tank collar and fill. - Automatic shut-off spout stops overflows. - Seals to guard against vapor emissions. - C.A.R.B. legal in all 50 states. UL and ASTMF2234-03 certified. Ecologically-friendly C.A.R.B. 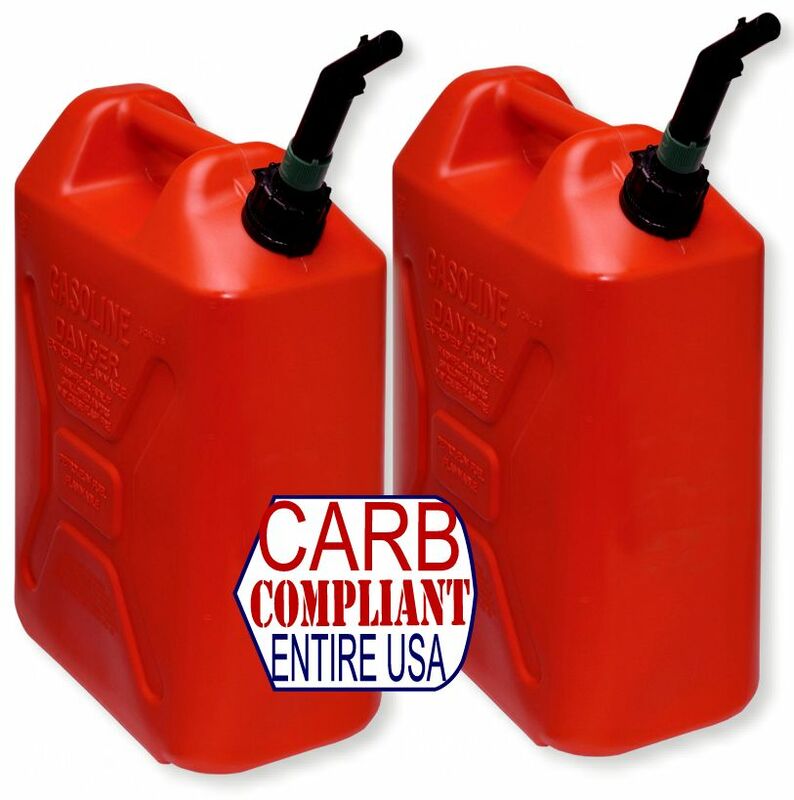 Compliant polyethylene Jeep-Style Gas Can, 100% approved by the California Air Resources Board (C.A.R.B.). Passes all emission and spill control regulations. Features an auto shut-off spout that closes when the tank reaches capacity. 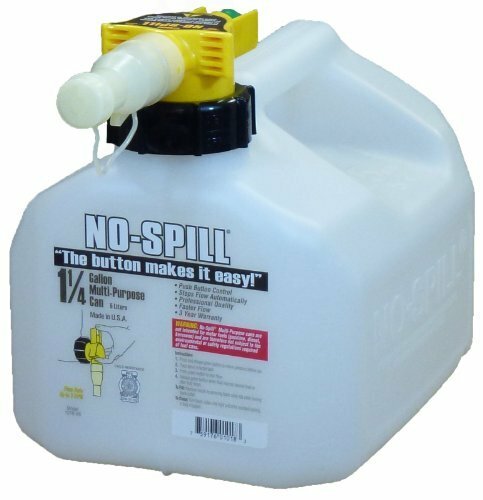 Simply insert the eco spout into the tank opening until the flange rests against the tank collar and fill. Approved for use in all states. 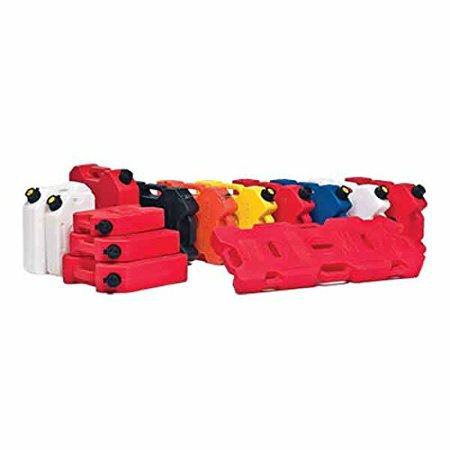 Made from high density polyethylene, the light-weight, crushproof design features a sight-line to show you how much fuel is left. 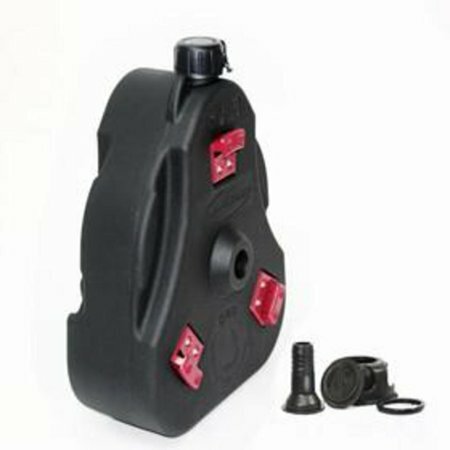 Daystar�s NEW Black Cam Can�s� are the most convenient and safest way to transport non-flammable liquids on or off road. 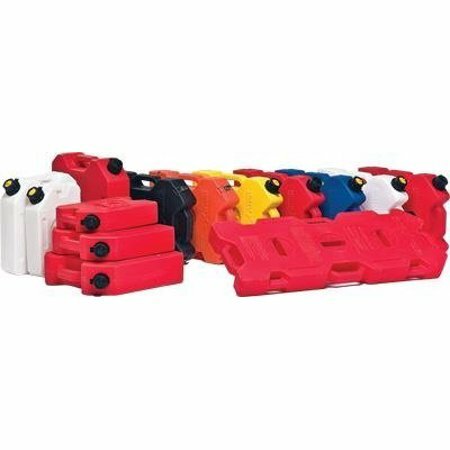 Each Black Cam Can� System comes complete with an Easy Pour, Non Flammable Liquid Spout and Cap Assembly Daystar�s Patented Cam Can� system mounts in the center of your spare tire or on just about any flat surface with the unique Cam Can� universal mounting System. 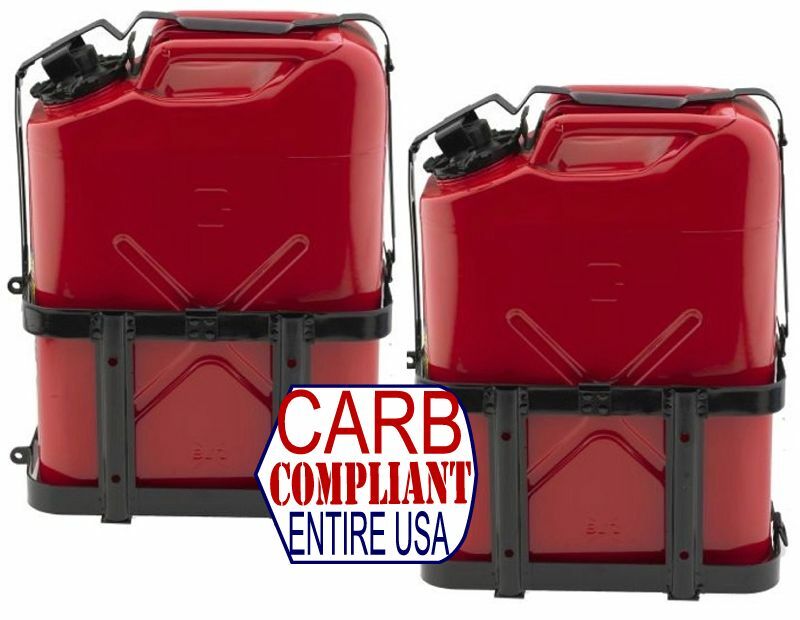 Each Cam Can� holds 2 Gallons of liquid or, with the addition of the Double Mounting System you can haul up to 4 gallons of liquid. 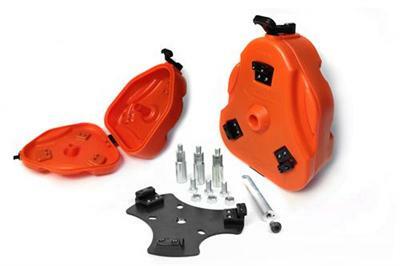 Or you can add the Cam Can� Trail Box and haul 2 Gallons of Liquid and an assortment of Tools, First Aid Equipment or Tow Strap securely mounted to your Spare Tire, Trailer, UTV, Motorcycle, Boat or just about any On or Off Road vehicle. The Patented Cam Can system has a new addition. 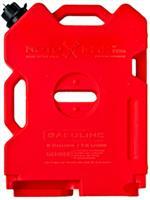 The Trail Box is the most convenient and safe way to transport gear and tow ropes. 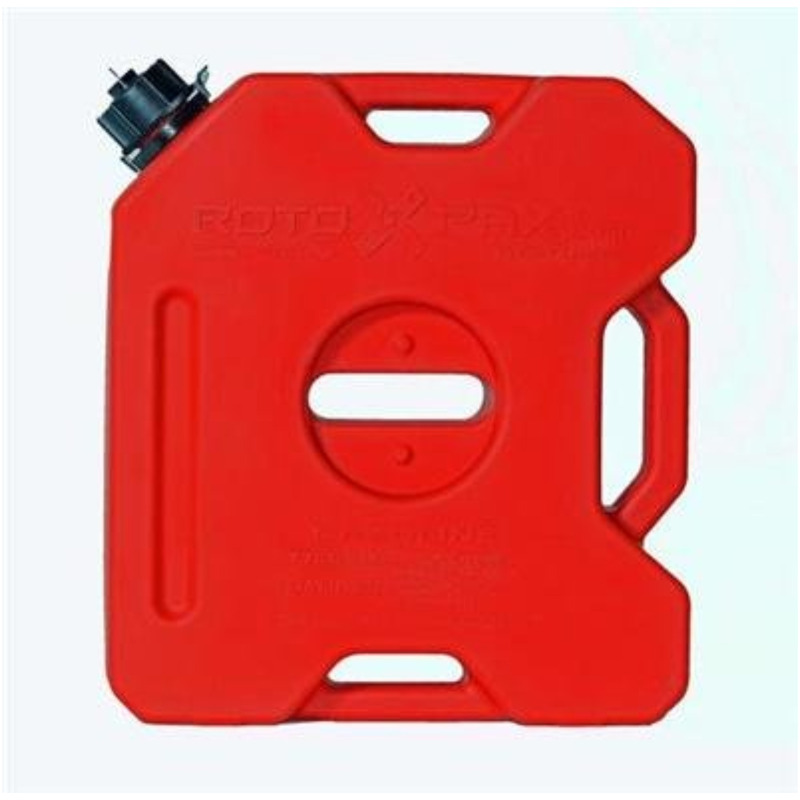 The Cam Can system mounts in the center of the spare tire or with a universal bracket. 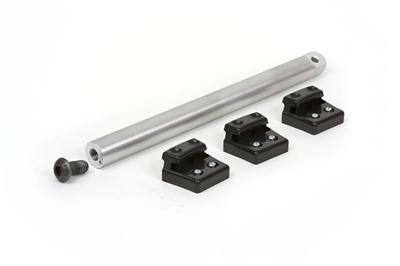 The Trail Box can be used in conjunction with the other popular Cam Can systems.